The loss-making airline is under enormous growth pressure and reorganizes itself. Austria is seen as growth market. 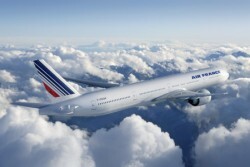 Also Air France faces a fierce competition. The French airline, which is one of the three major players in Europe besides German Lufthansa ad British Airways, decided to start an austerity package. In 2011, losses reach roughly € 400m. Debts rose by € 2.0bn to € 6.5bn last year.